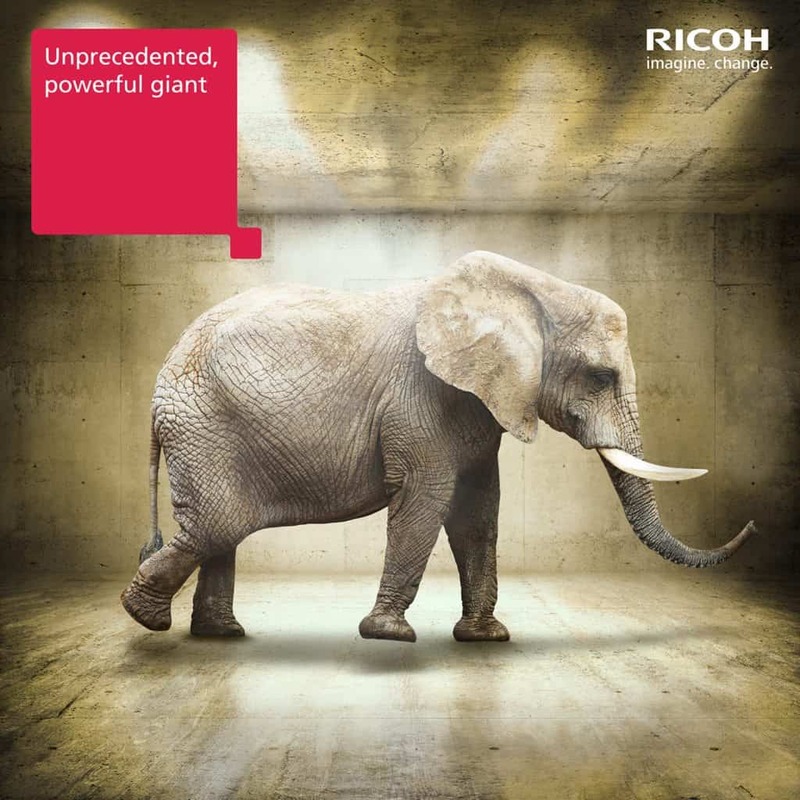 Ricoh Europe requested that we look into designing an entire campaign around the launch of three of their newly developed printers. The initial brief we received highlighted Ricoh’s need to target the Graphics Arts and Commercial Printing sectors as the key markets and to develop a campaign with an overarching message of “The Next Era of Graphic Arts”. A brief containing terminology such as “Big Bang” and “Market Leading” inspired our team to develop an intelligent and creative solution to command the attention of the targeted industry professionals. Our “New Dawn” campaign solution was designed with a full visual identity, conceived to be scalable and workable across a number of levels and marketing channels. Using a ‘Safari’ theme we created an environment for the campaign to exist within, and developed relevant animal-themed characters to represent each of the three printers. 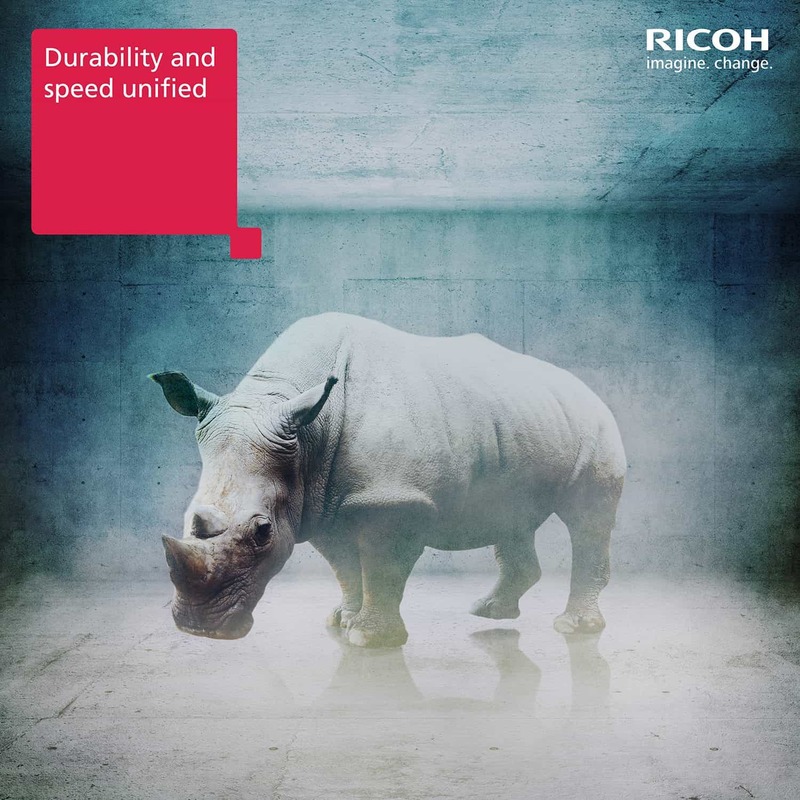 The printers became the Elephant (Ricoh Pro VC6000), Cheetah (Ricoh C7100) and the Rhino (Ricoh C7100X) all of which had shared characteristics, traits and a physical resemblance to their chosen safari-based alias. Our original concept meant these products were given personality and character and a unique position in a marketplace that is used to being dominated by larger industry players. 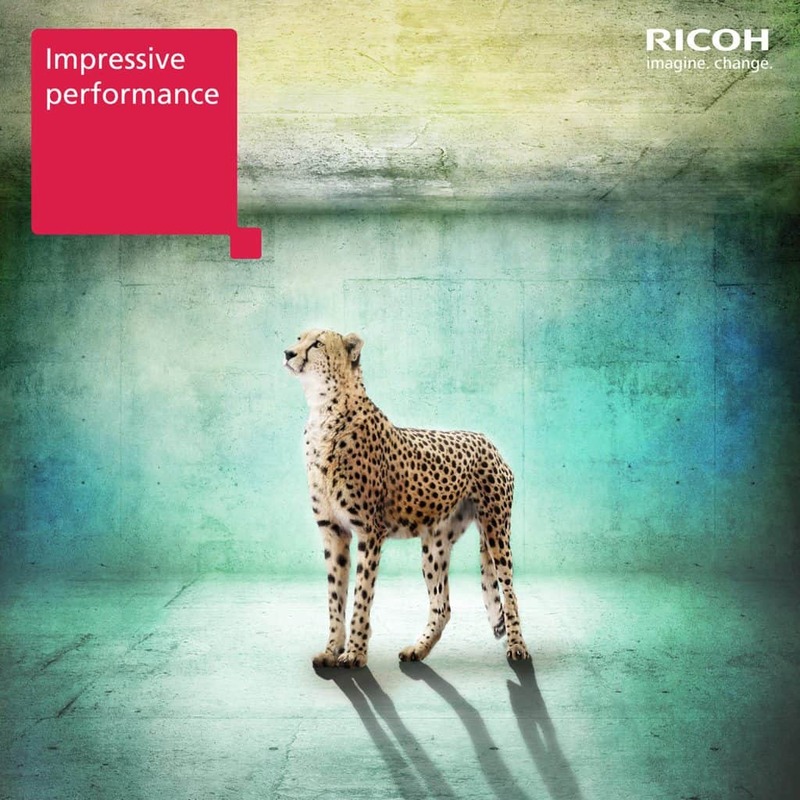 The scalability of this campaign was highlighted and recognised when it was taken up by several of the extended Ricoh Europe family including Ricoh UK, Ricoh Korea and Ricoh USA. It was also used digitally across many formats including internal communication videos and website marketing materials.